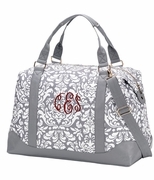 When you are in the mood to be feminine and soft, pack your belongings into this basic quilted tote. The bag offers a solid tone on tone design in dark navy blue. 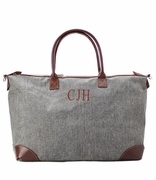 Navy blue grosgrain ribbon straps accent this duffle. 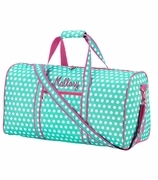 A basic carry-all duffle for gym, travel or overnight stay. Styled for the woman on the go. It is large and spacious and will add a classy touch to your outfit. Monogram ready. 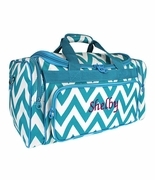 Monogrammed quilted duffel measures 20"W x 11"H x 11" across a footed bottom. Lined in gingham check lightweight cotton fabric. Inside wall zip and open pocket, outside zip pocket and zipper closure. This bag is great, nice size great quality. I ordered it for my 11 year old daughter she loves it. 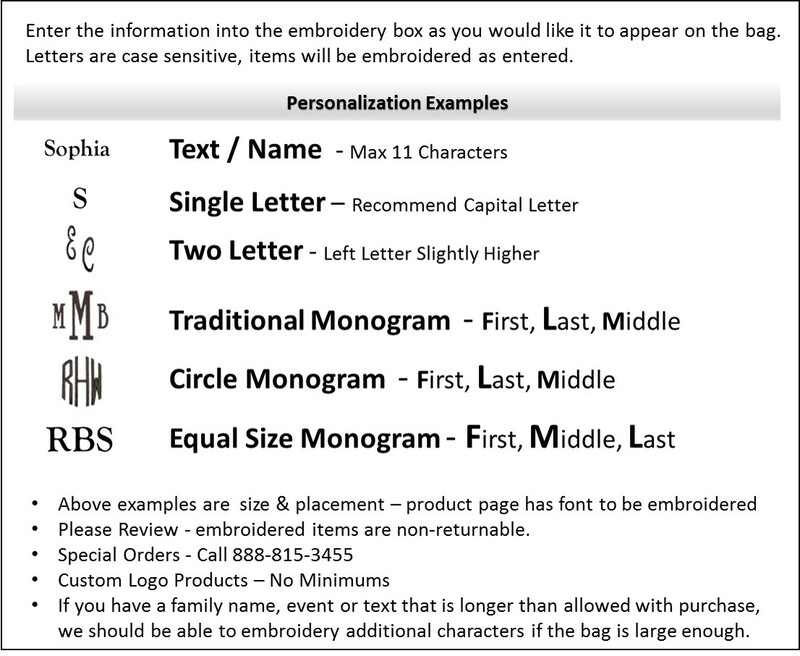 I received the product monogrammed in 4 days! Will order again.